The Li190BDS is a V-Mount 190WH Li ion buddy battery system with an LCD display. The Li190BDS battery has many features that make it an efficient and reliable piece of equipment. These include intelligent control and a protection circuit, as well as possessing temperature, current and voltage protection monitoring ensuring longevity and consistent performance. In addition, the Li190BDS contains a D-Tap power connector which serves as both an input for charging purposes and an output to enable the user to power accessories (including various lights and monitors). One of the main features of the Li190BDS is its ability to separate into two "travel friendly", 95WH components. Due to this the battery is accepted by most airlines and is perfect for those who wish to travel with video equipment. Lithium-ion batteries are common in consumer electronics. They are one of the most popular types of rechargeable battery for portable electronics, with one of the best energy densities, no memory effect, and a slow loss of charge when not in use. V shaped locking battery connector for broadcast professional cameras and accessories. 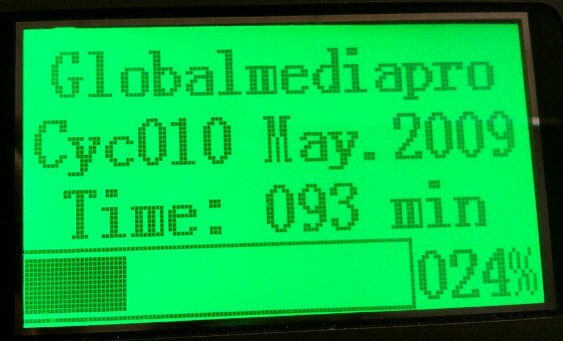 Globalmediapro batteries include intelligent control and a protection circuit, as well as possessing temperature, current and voltage protection monitoring ensuring longevity and consistent performance. D-Tap is a 2 pin DC power connector. 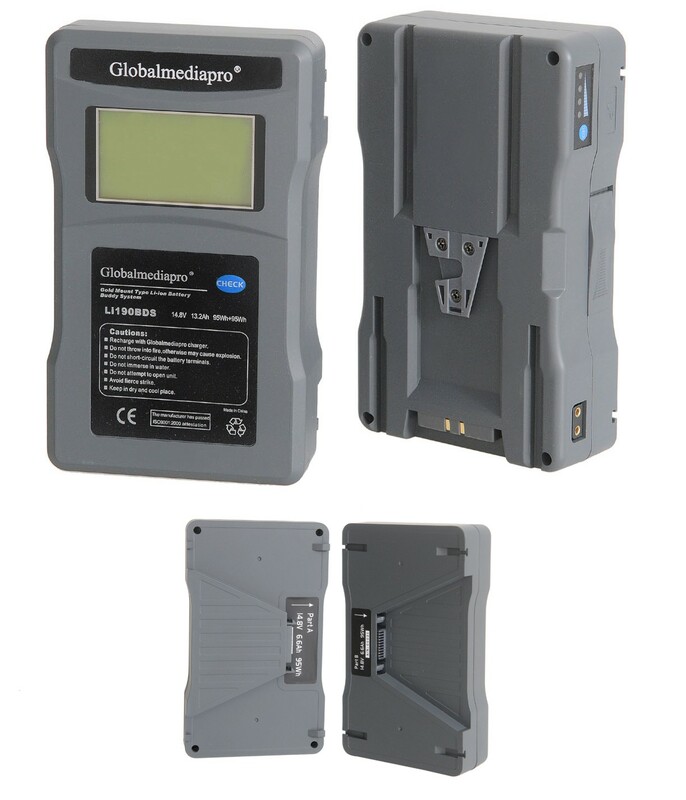 Globalmediapro V-Mount and Gold Mount batteries are equipped with the D-Tap, which serves as both an input for charging purposes and an output to enable the user to power accessories. The 4-level LED Power Indicator (showing intervals of 100%, 75%, 50%, 25%) displays the battery's capacity status I.e shows if the battery is full or requires charging. 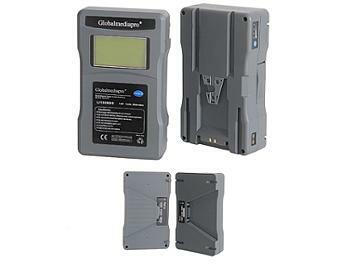 The 4-level indicator is very reliable as it is protected from the elements and it draws minimal battery power when checking the battery charge. To ensure our customers always receive the latest models, Globalmediapro batteries and chargers are not distributed though a long chain of resellers but are shipped directly from the manufacturer to consumers. All returns are immediately routed to the engineering team, who investigate faults and, as a result, come up with an improved, more reliable product. With years of development invested, we believe these products are of the highest quality available. Great service!!! Super fast postage!!! dual Charger. Both are superior quality...Cheers!! !